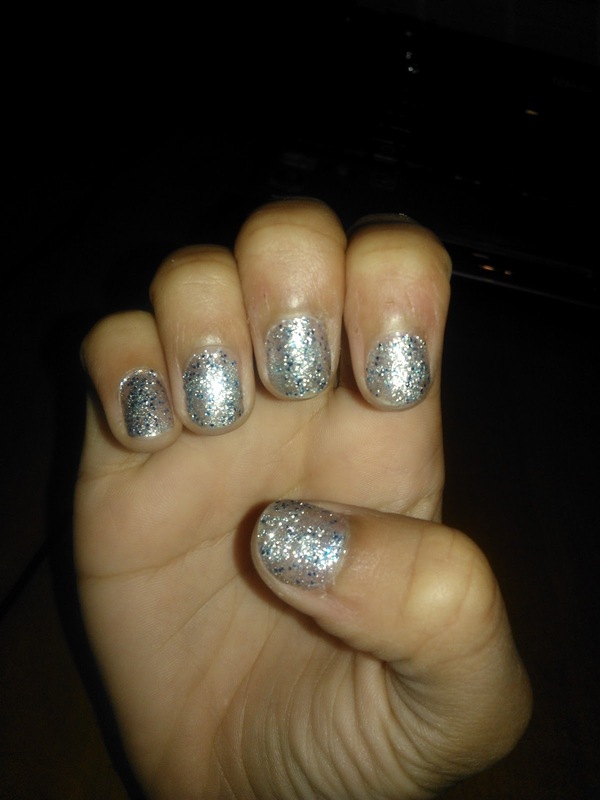 GLITTER NAILS! 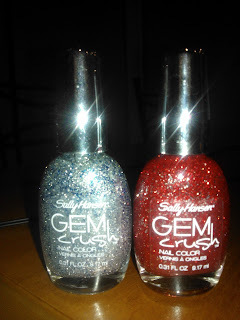 And they're Sally Hansen which are good (I don't actually know, I'm just guessing)! As soon as I got home I put them on! 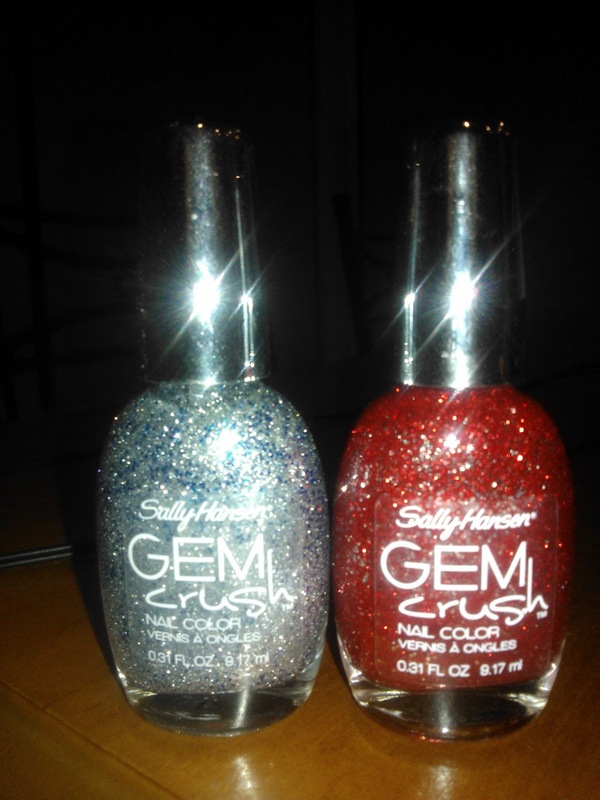 As you can see, they aren't just your average one toned glitter polishes. These bad boys have sneaky speckles of other colours! Showgirl Chic is predominately silver with a hint of blue while Cha-Ching! is mostly red with bits of silver incorporated in it. 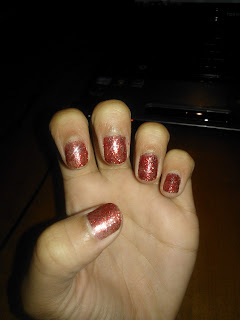 Although tomorrow is Monday, I'm still going to rock these nails to school because - quite frankly - I'M A PUNK. I CAN DO WHAT I WANT. Plus, I only have 4 real weeks of school left so I've let loose! My little jab against the system. REPORT ME !?>? !